When I was taking my Breads & Rolls class last year in culinary school we made an Indian bread called Aloo Paratha. 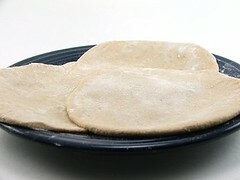 It is a wheat bread dough that is filled with a curried potato mixture, rolled flat and cooked on a hot griddle. They were, in a word, delicious! I have thought of them fondly, but had not gotten around to making them when the curry bug bit one afternoon. 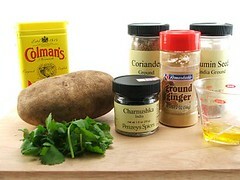 I had potatoes, I had Indian spices, and I had wheat flour. I would make parathas to go along with some Curry Crusted Chicken Thighs. 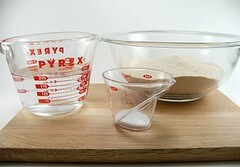 In the bowl of a stand mixer mix the flour, salt and water with the dough hook for 5 minutes on medium speed. The dough should be quite soft and a little sticky. Cover the bowl with plastic and allow to rest for 30 minutes. While that rests make your filling. 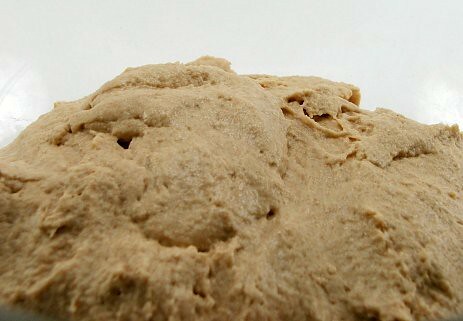 After the dough is rested turn it out on a floured surface and divide it into eight equal pieces. 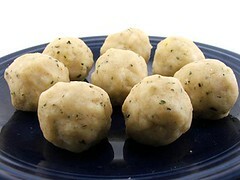 Flatten with your fingers and place a ball of filling in the center. Wrap the filling with the dough, making sure the dough is completely sealed. 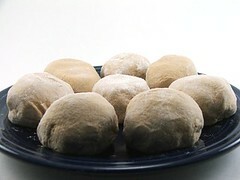 Repeat with the remaining pieces of dough and filling. 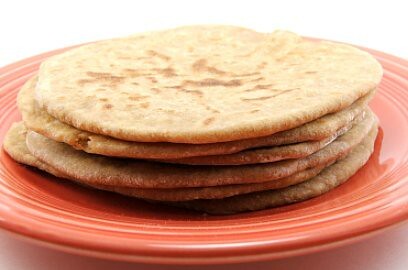 Gently pat out the parathas into fat disks, then carefully roll them out until they are between 6″ and 7″. Cook the parathas on a smooth griddle over medium heat for two minutes. 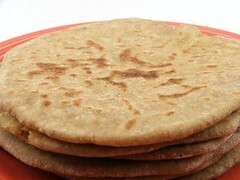 Flip the parathas, which should be lightly browned and spotty, and brush the cooked side with vegetable oil or ghee. After two minutes flip again and brush the second side with oil or ghee. Cook for 30 seconds per side then transfer to a plate and cover with a towel.